Residential & Business Hard Floor Cleaning South West London SW | RDA Cleaning & Maintenance Ltd. When it comes to professional cleaning of floors, RDA Cleaning & Maintenance Ltd. stands higher than others. With experienced professionals, our company provides the best hard floor cleaning South West London SW at affordable prices. A silicone-free, non-toxic and water-based sealant is recommended. It is without any odour. It is a biodegradable seal that provides a long lasting protection for natural stone surfaces. If you are looking for professional hard floor cleaning, feel free to give us a call at 020 3404 1646 or use our online booking form. We go from simple hard floor cleaning to expert floor sealing. Every service that we offer is delivered by professional hard floor cleaners South West London SW. They are all certified and experienced and use the modern machines and detergents. We clean any type of hard floors, natural and synthetic ones. 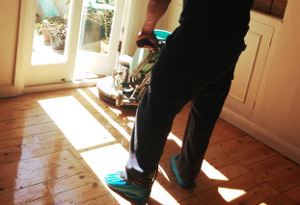 If you want to book our hard floor cleaning service in South West London SW, dial 020 3404 1646 or send an online booking request via the online form here. Your request will be received immediately by our attentive 24/7 customer support service operators. Once it is processed you will receive a written confirmation via a text message or email. No deposit is required for booking. The price is fixed, though our regular customers, those who book early, landlords and estate agencies get preferential prices. Customers who book a combination of our cleaning and maintenance services will also get discount on the price. We offer same day and emergency cleaning services.